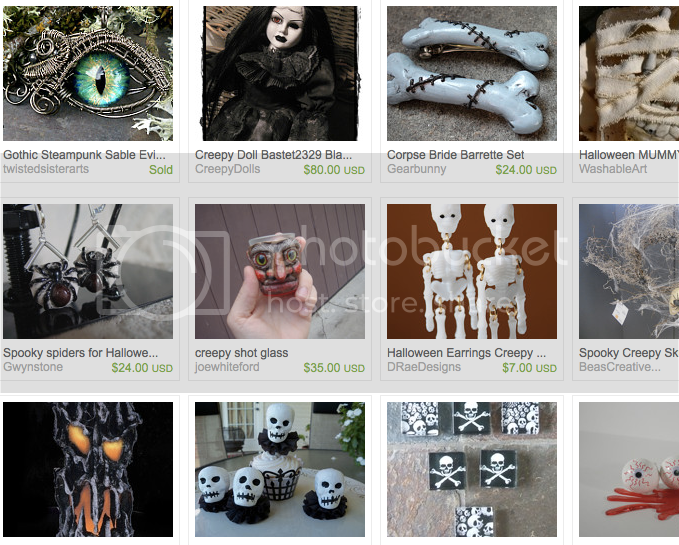 Halloween is fast approaching, and that means lot of spooky treasuries are appearing! I love love love this season. 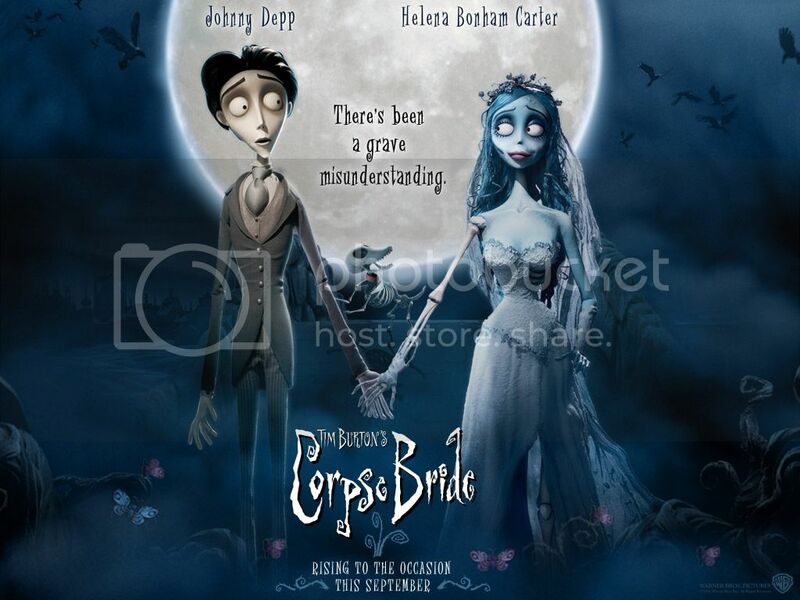 Here’s a treasury that features my Corpse Bride Barrette Set. I made these in honor of all things Burtonesque. 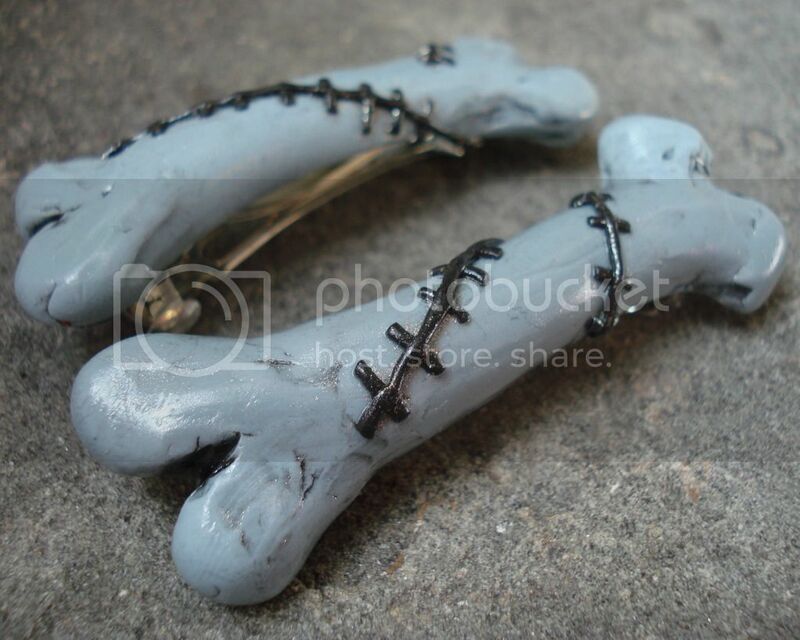 Cute barrettes made from pearly cadaver-skin blue are perfect for Halloween. I sculpted the bones from polymer clay and painstakingly added tiny black stitches which wrap around. I also brushed on silver and black accents for texture and depth. Tis The Time Of Year For Scary Things To Appear! And I am a multifaceted beast! I currently sell my work under two pseudonyms. My Gearbunny line is where I express my punky, industrial, cute and morbid side. Here you’ll find polymer clay jewelry and accessories. I mainly focus on necklaces, charms, pendants, bracelets, and earrings, but I have been known to branch off into hair accessories and brooches. My inspiration comes from club and music culture and weird, quirky thoughts that pop into my head. I have been creating jewelry as Gearbunny since 2006. My jewelry alterego is LapinJade (ooh la la, that’s jade rabbit, in French). Launched in April of 2008, it’s a newer endeavor. My LapinJade jewelry features sterling silver wire-wrapping and original silver pieces that I’ve forged myself using metalworking techniques. The versatility of silver is very inspiring. I also use various gemstones and precious materials. Overall this is a more elegant, classically beautiful line. Gearbunny and LapinJade are both equally ME, so you’ll find updates for both on this site! Currently I sell my work on Etsy, a fantastic virtual marketplace for all things handmade. Visit Gearbunny here, and LapinJade over here.